Tasty, authentic Thai street food anyone? This Amazing Thai Grilled Chicken delivers BIG time on flavor using fresh lemongrass and fish sauce in the marinade. It may be raining off and on here in San Diego, flood warnings and all, but in between a break I hit the grill because I NEEDED this one. The broiler just would not do. I wanted that bit of char you only get from a grill, but am sure the broiler would be fine, too. 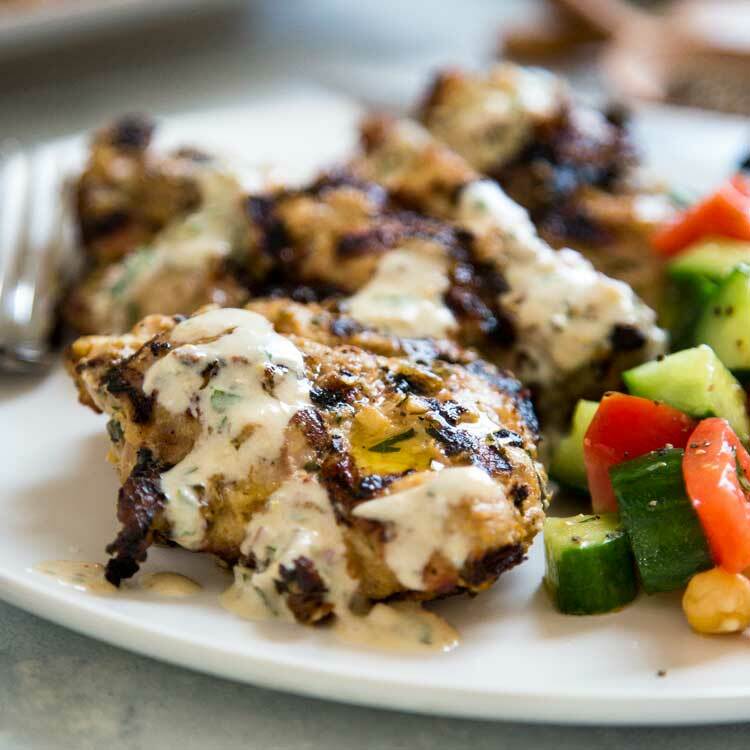 This Thai Grilled Chicken is often on rotation here at Chez Aladin and we served it up once when Dave’s mom Shirley came to visit last June. It was a hit! Originally this recipe hails from Nagi over at Recipe Tin Eats. 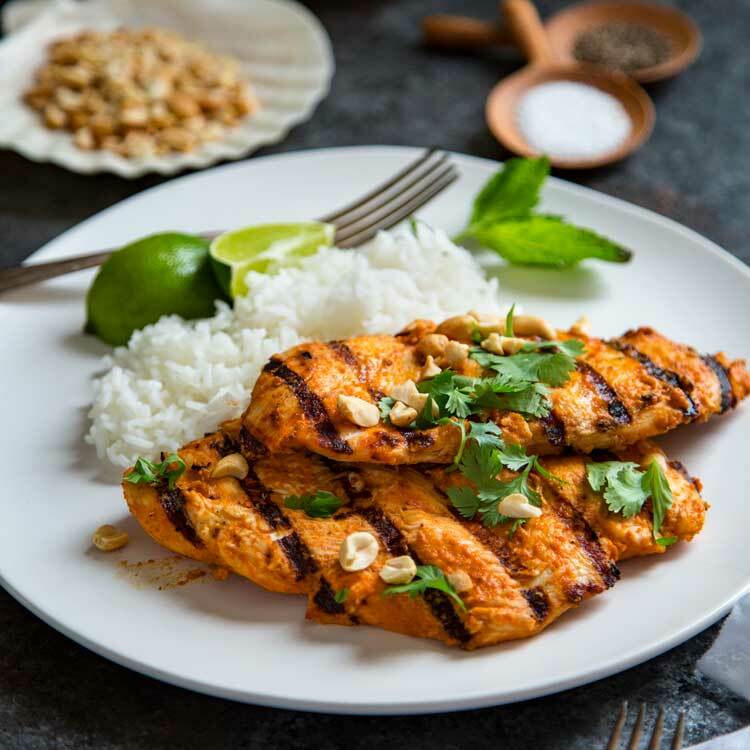 This Thai Grilled Chicken is a beauty, and as she says it’s, “so good that it almost converted a vegetarian.” Trust me now? For the life of me I can’t believe I never posted this one previously, but here it is and I hope you find it as addicting in flavor as we do. With fresh lemongrass and fish sauce, this is a keeper. 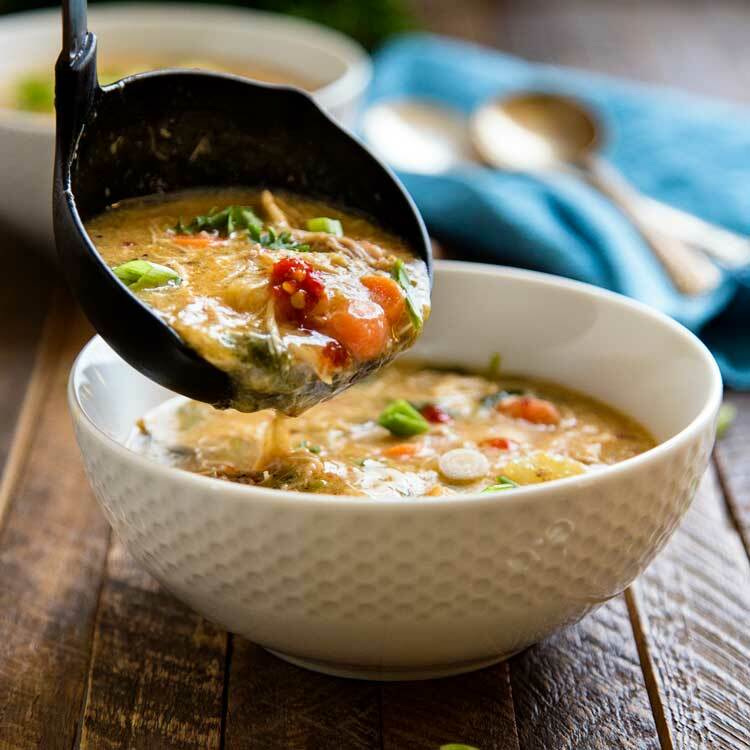 What got me to try this was not only the amazing photos, but the statement where she said “it stays on the side of authentic and is not westernized.” I like to get as authentic as I can with my cooking and this delivered like most of her recipes do. I use the lemongrass paste you can pick up in a tube in the refrigerated section of the vegetable section in your market. If you can’t find that, use 1 large lemongrass stalk, the white part only, and chop fine. Feel free to use breast meat, but I find the chicken thigh has more flavor and use them here. I’ve also added some chili paste into the marinade when I baste if you like a little more heat. If you love Thai food like I do try my Coconut Chicken Thai Soup with Pineapple, or this Thai Roasted Chicken in Coconut Milk. Enjoy! Tasty, authentic Thai street food anyone? 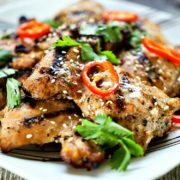 This Thai Grilled Chicken delivers BIG time on flavor using fresh lemongrass and fish sauce in the marinade. Prep time does not include marinating time (3 hours). 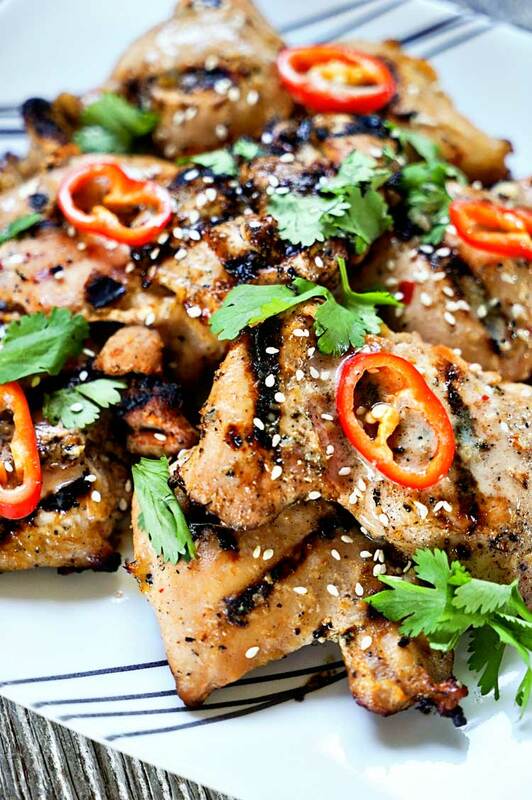 Adapted from Nagi at RecipeTinEats - Thai Grilled Chicken. Whisk together the marinade ingredients. Add the chicken to a Ziploc bag and pour in marinade. 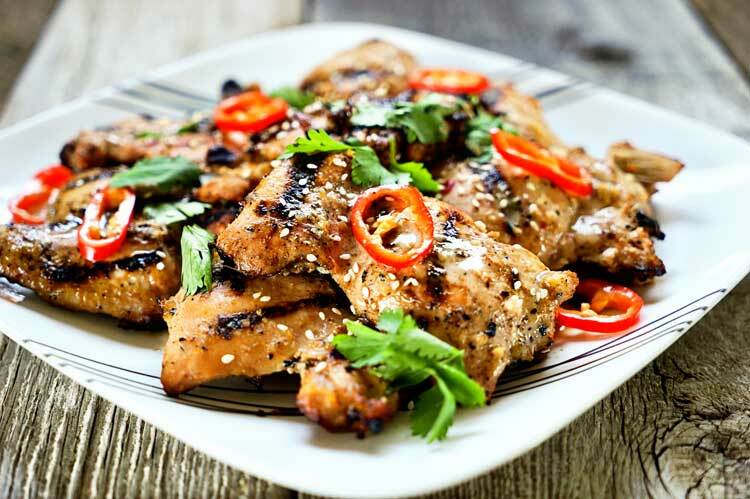 Massage to spread the marinade over all the chicken and marinate for a minimum of 3 hours, but preferably overnight. Get grill to medium high (350°F). 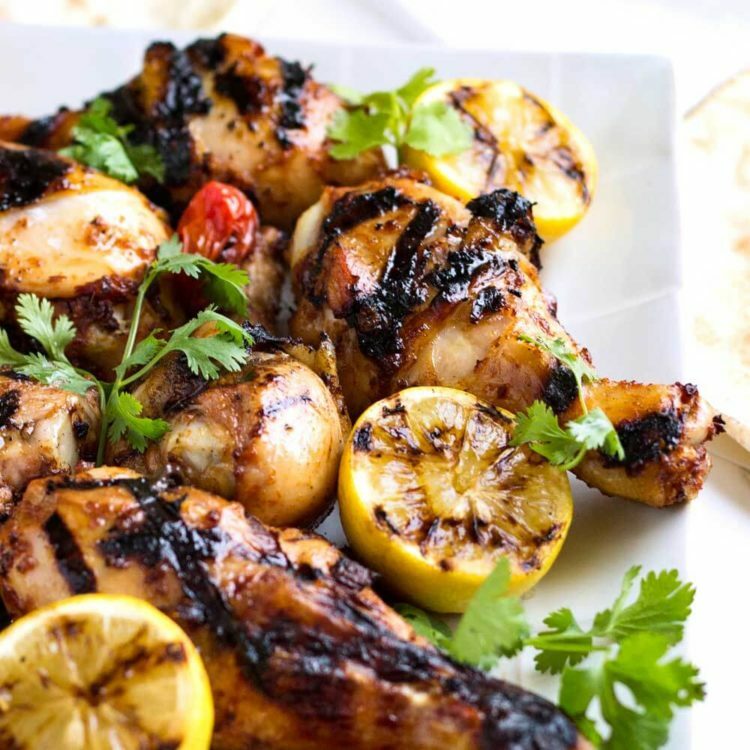 Remove chicken from the marinade and set aside. Cook the chicken for about 3 minutes each side. Bate with marinade on each side before turning. Remove from grill and allow to rest for a few minutes before Garnish with sesame seeds, fresh chiles, cilantro and serve with lime wedges and steamed rice. Hi, thanks for this recipe. I made it today and is absolutely delicious! I some of it in a cast iron pan and some on my George Foreman and it still came out amazing, this will be a regular for me. Hi. I want to make this, buti am allergic to fish. Is there something else that i can substitute the fish sauce with? Or can i leave it out? Will it ruin the recipe to not use it? Kristina, my first thought is that Worcestershire sauce is a great substitute, but if you are allergic to fish that would not work as it has anchovies in it. Next thought would be the same amount of soy sauce with a squeeze of lime juice. I hope this helps! Thank you! I am going to try this tonight. ? Thanks! It was well worth it (the risk of rain), thanks Claudia. What a gorgeous looking plate of chicken! I’m wondering whether I can replace the lemongrass paste with powder. I don’t usually cook Thai flavor and don’t have lemongrass at home. I believe these chicken will be beautifully cooked even on stove top. Can’t wait to try out! Thanks so much Maggie, appreciate the kind words. I actually have never seen or heard of lemongrass powder so now I am intrigued. I have only cooked with fresh lemon grass stalks or the ground paste. I would give it a try and let me know. As for stove top I’m sure, or under the broiler. Happy new Years! Thank you for this recipe, Kevin! 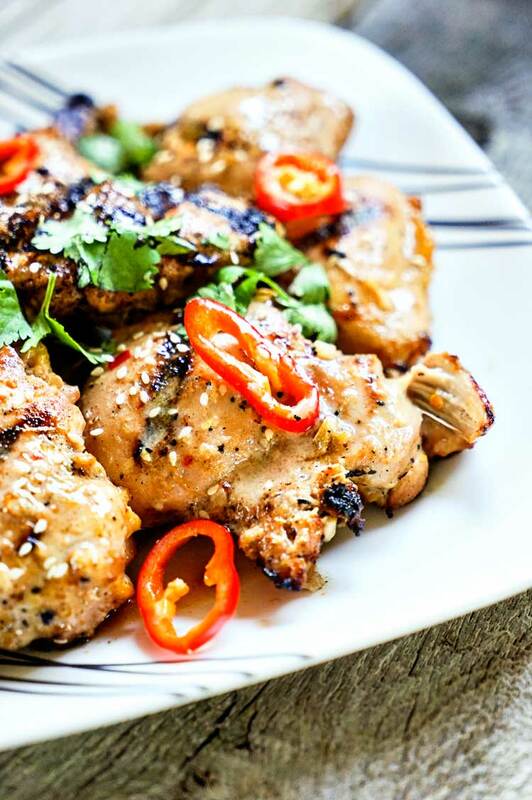 We need to venture out more toward Asian cuisine and this Thai grill chicken looks to be the perfect vehicle. 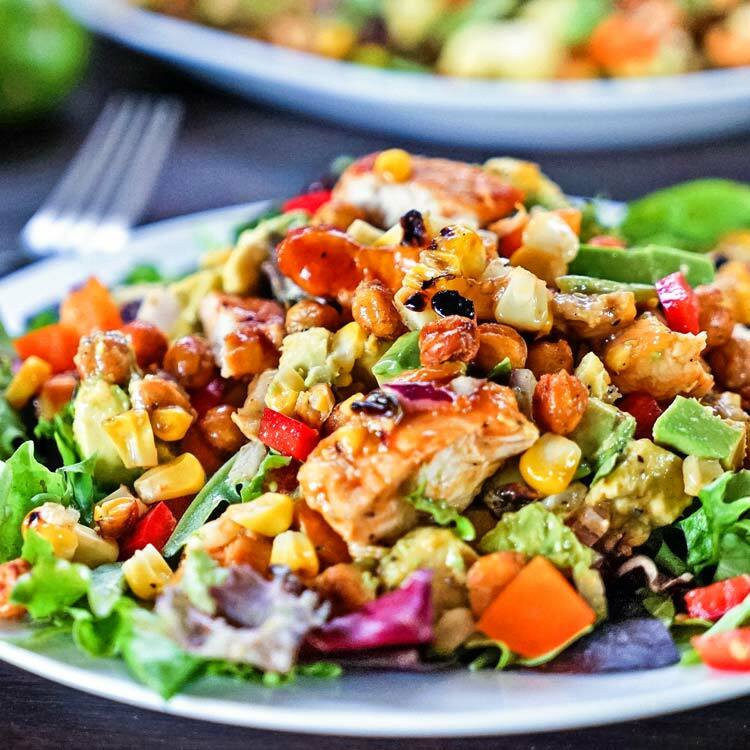 Your version is utterly tantalizing and we can’t wait to try it! Also, feel free to email me regarding that FB message. Sorry I had to leave as family came over and we took them out. You got me on this one, Kevin! I love lemongrass chicken. This looks so mouthwatering! Thank you Holly, have a great weekend! It sounds as if you’re experiencing similar weather as we did on the east coast of Australia. Floods everywhere! 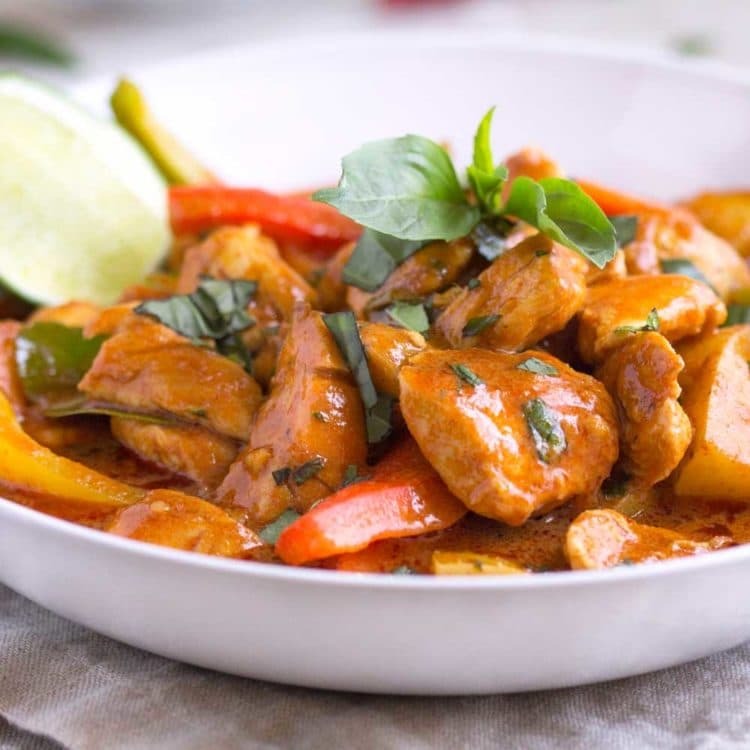 Thai chicken sure packs a punch in the flavour department, doesn’t it? 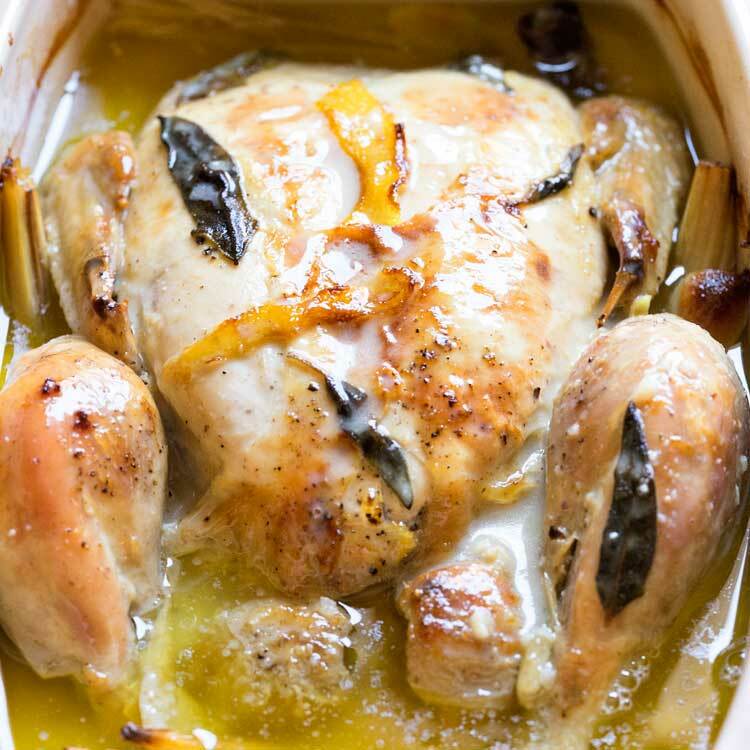 And agreed with using thigh over breast meat – so much more flavour! Where San Diego has been bone dry for almost 2 years straight, it has been over the top torrential and the flooding has impacted so much. While we need the water desperately, it’s simply been a deluge! Water up to the windows of cars and people paddle boarding down streets the day before riddled with car traffic. It’s insane! But I digress! Yes, these are intensely dee-lish in flavor. Have a great weekend down there John. Hey Kevin! What a mouth watering dish! I remember seeing Nagi’s post – she is one amazing person! As are you my friend! 🙂 I’ve always grilled year round – there is just something about grilled food when the snow is blowing! Thanks and have a wonderful weekend Dorothy. You had me at ‘authentic’. This sounds and looks like something that I NEED too! It’s snowing here but I might have to still try this one soon. Beautiful pictures too Kevin! Laura always complains that chicken is too boring for her. 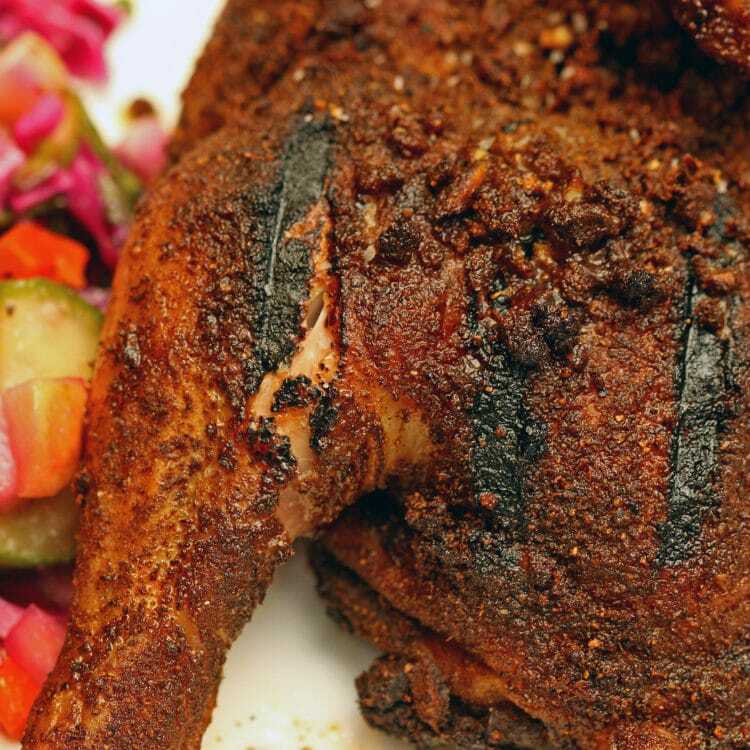 This chicken looks anything but boring! We actually are supposed to be kinda warm here on Sunday, so I might just have to break the grill out. Looks incredible, Kevin!